The Mini Cooper Clubman is a compact hatchback that offers seating for four with two rear double doors taking the place of the standard hatchback trunk, available in two trim levels. Base outfitting includes 16” alloy wheels with run-flat tires, heated/powered side mirrors, automated headlamps and wipers, remote entry, two-zone climate control, customizable driver settings, manual-adjustable front seating, faux leather upholstery, tilting and telescoping steering wheel, Bluetooth/iPod/USB integration, the Mini Connected system with 6.5” touchscreen and six-speaker audio system with HD radio. Upgrades can add larger wheels, added interior and exterior styling options, parking camera, rear parking sensors, rear spoiler, panoramic sunroof, LED headlamps and fog lamps, 40/20/40 splitting rear seating, leather upholstery, upgraded audio system, powered-folding side mirrors and more. 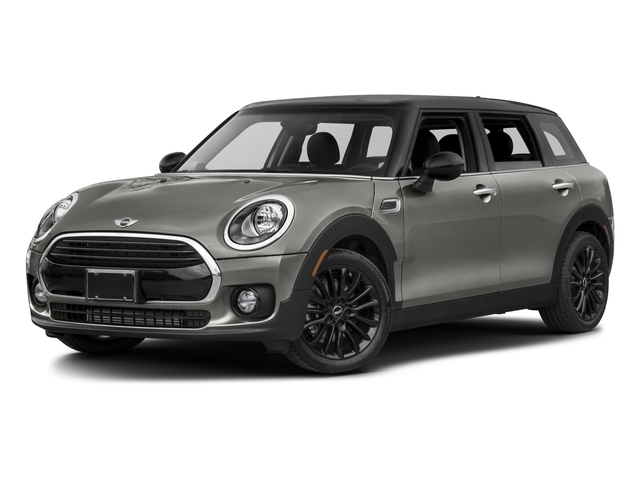 This vehicle offers a turbocharged 1.5-liter three-cylinder engine that’s rated at 134 horsepower and 162 pound-feet of torque.